"That dog save his life!" 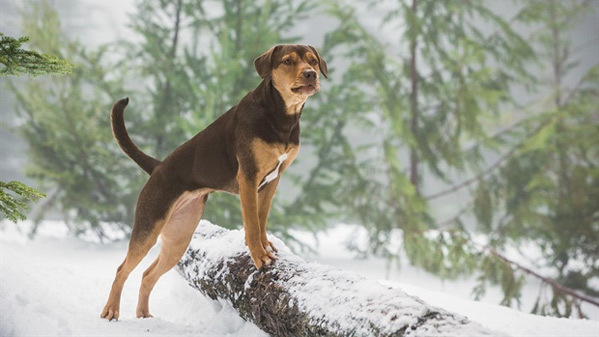 Sony Pictures has debuted a wonderful new international trailer for the dog adventure movie titled A Dog's Way Home, adapted from the book of the same name (by the author of A Dog's Purpose) about the epic 400-mile journey of a dog takes to find her way back to her owner. Jonah Hauer-King plays Luke, the hooman who cares for the dog Bella. The full cast of humans includes Bryce Dallas Howard as the voice of Bella, plus Ashley Judd, Alexandra Shipp, Edward James Olmos, and Wes Studi. This looks even more and more like this generation's Homeward Bound, which is fine by me. I appreciate that they don't animate the dog's lips or make her actually speak beyond the voice in her mind, because that would be too much and it's always cheesy. Looking forward to catching this in January. 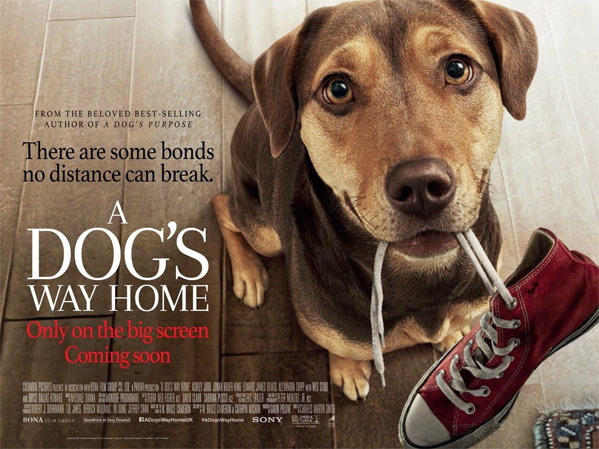 You can still watch the first official US trailer for Sony's A Dog's Way Home here, to see more footage.